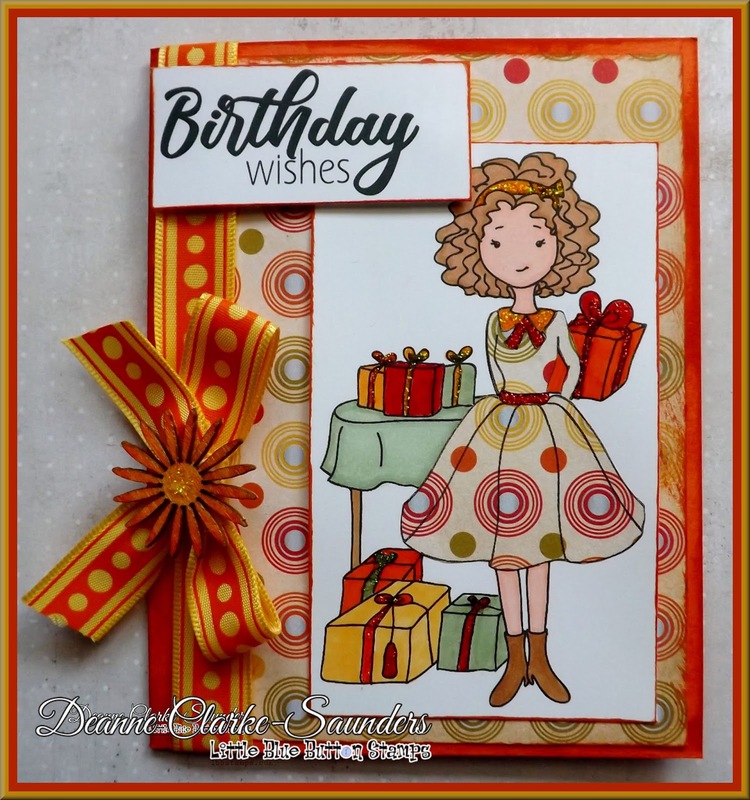 I’m back to share my second creation as Guest DT for this month! 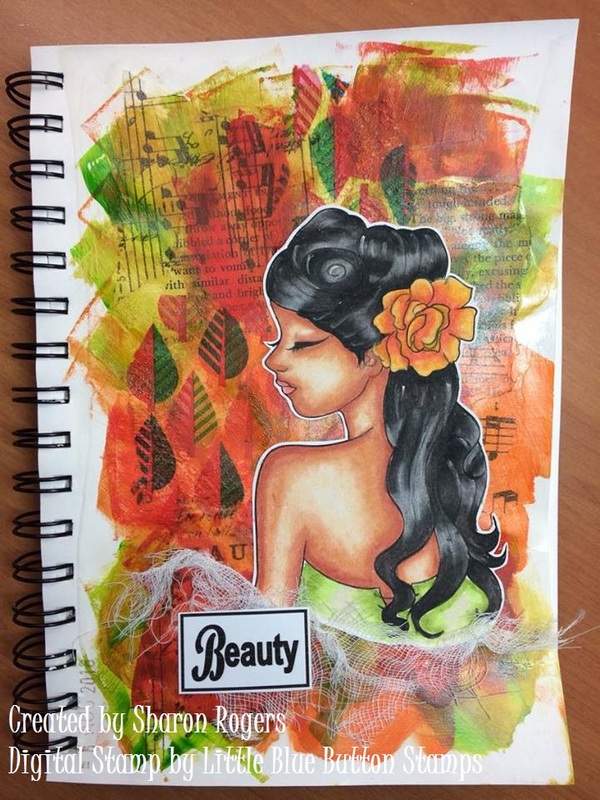 Please check my first project with Pin Up girl. I'm already inspired by fall and all its beautiful warm colors. Being captured by the gold shiny look of fall as well, recently, this time inspiration led me to more vintage look, the one I truly love and always keep coming back to. Let yourself be happy and share your happiness with the ones you love. I've made a birthday card using You Got a Present. I paper pieced her dress and used the colors in the pattern paper to color the presents! 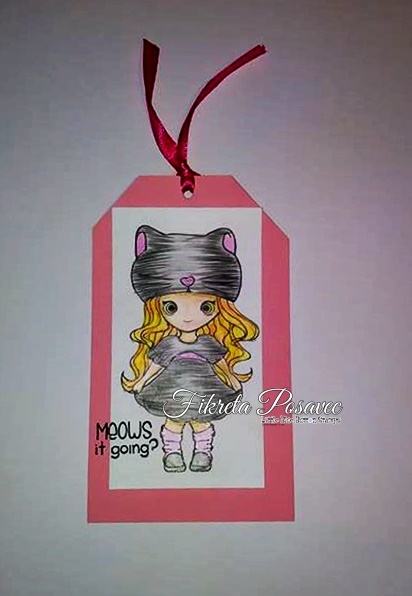 I ALWAYS choose my pattern paper FIRST and then use the colors to decide how I will color the digital stamp. I used the same pattern paper for the background. Sometimes I will use a coordinating pattern paper for the background. 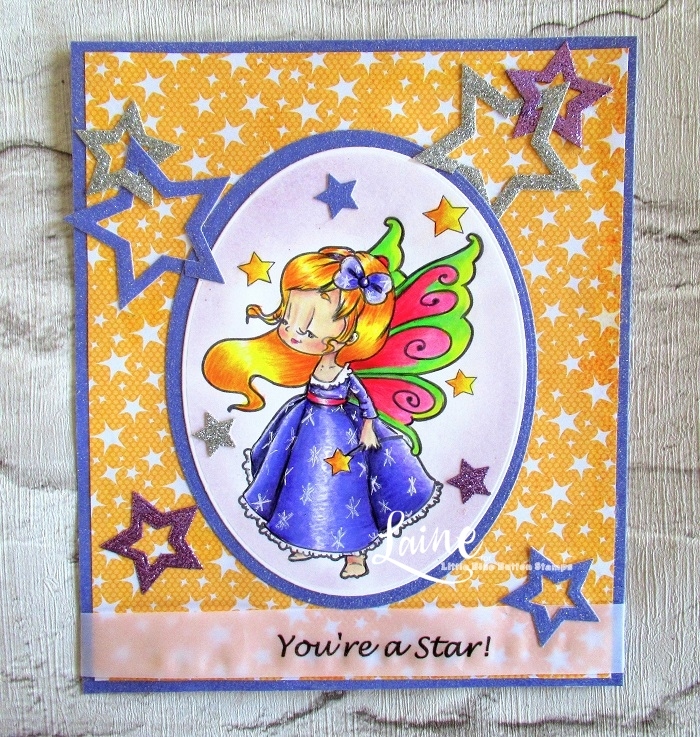 The ribbon and wooden flower (covered in glitter) is an added embellishment, making a wonderful card for a friend! 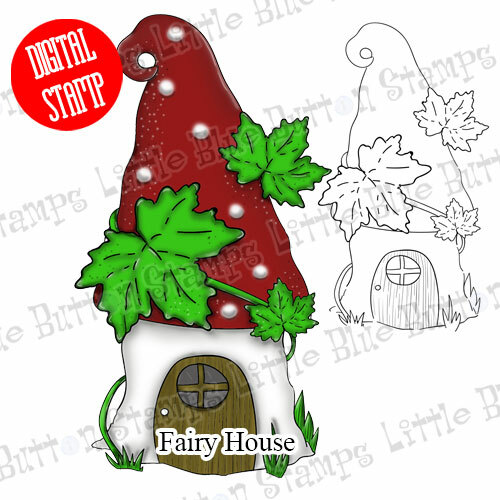 Please check out my first Guest DT project using Charlie digital image. 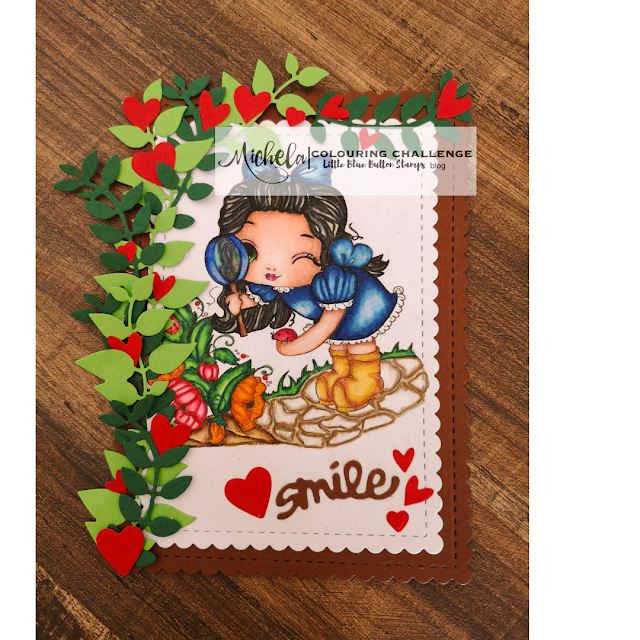 This time, I made a shaker card using the lovely Miss Lilly Big Cupcake image. Hi! Do you believe in mermaids? It sure would be great if they exist. 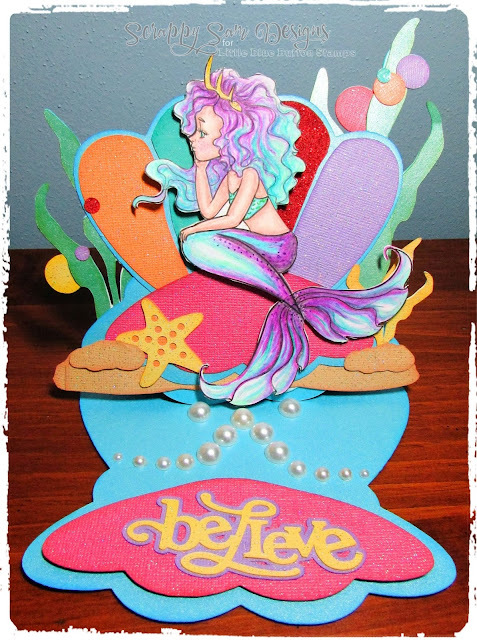 Today as my inspiration project I made an easel card using Mermaid Digital Stamp . Hi to all! 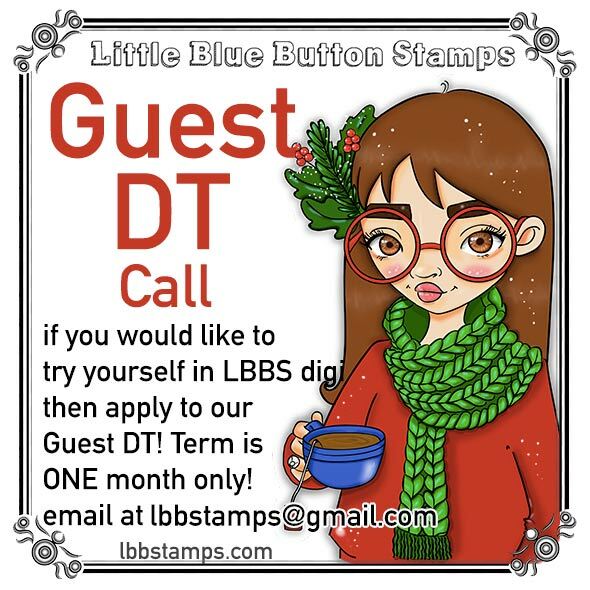 Sharing my DT posting for Little Blue Button Stamps. This card features the cute Star Fairy digital stamp. 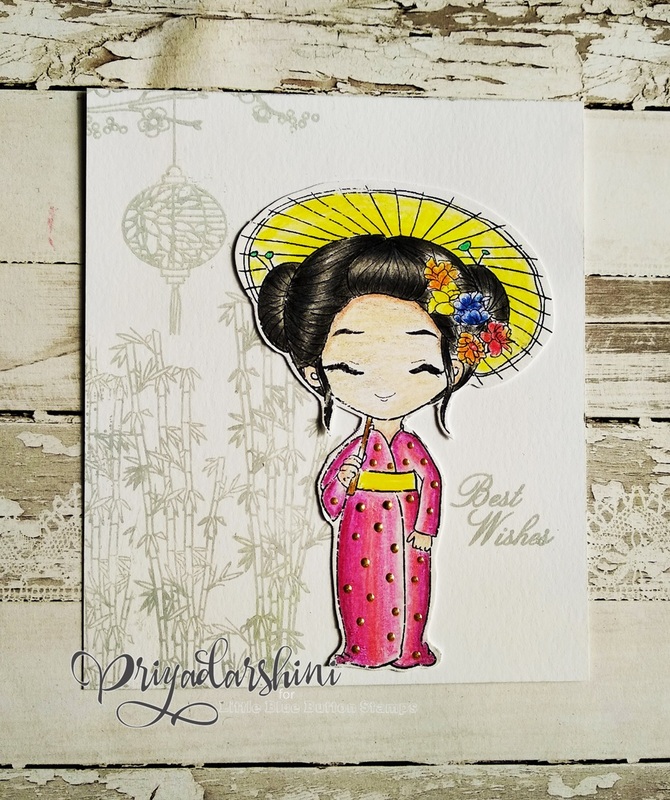 She is an adorable image and such fun to colour! Good morning, friends! 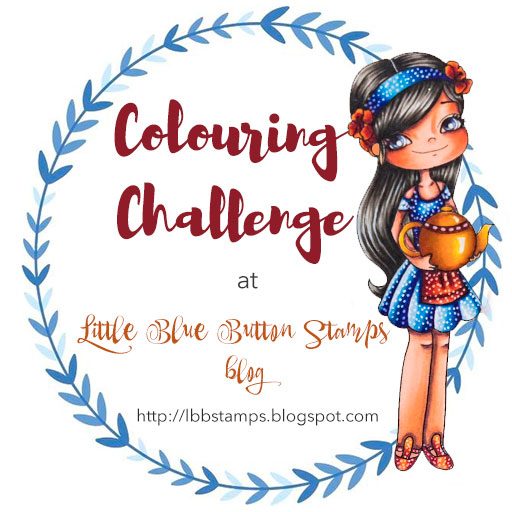 With big excitement we open September 2018 colouring challenge in our blog! Hello everyone! 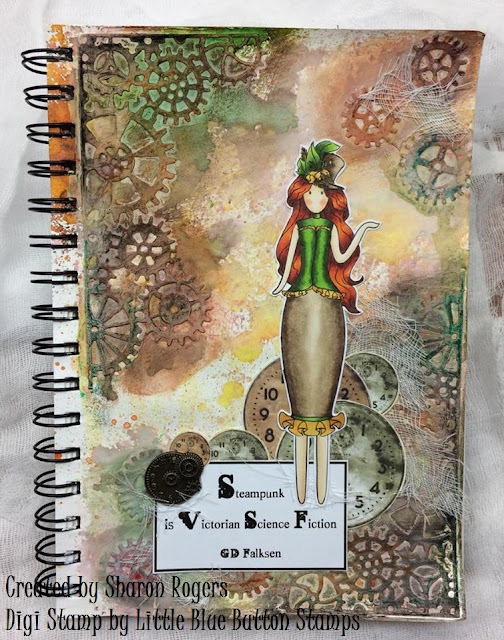 This is Zubaida from ColorPaperScissors and I am really excited to be a Guest Designer for the LBBS this month. Here is my card using the gorgeous ‘Charlie With Teapot’ digital stamp. In honor of fall I'm giving 30% off for all the products in the shop! Yey! Use code fallishere and you'll get 30%off your entire order! Code is valid thru September 8th 2018!